Everything you need to know about active noise cancellation in headphones. What is the definition of noise cancellation? Why is the market for noise cancelling headphones so large? What are the benefits of noise cancelling headphones? How Passive Noise “Cancelling” Works? How does passive noise cancellation work? What makes passive noise isolating headphones effective? What is hybrid noise cancellation? Why do some people prefer passive noise cancelling (isolation) to active noise canceling? Does active noise cancelling damage hearing? What are some practical uses for noise canceling headphones? What are the best over-ear noise cancelling headphones? What are the best in-ear noise cancelling headphones? What are the best studio-grade noise cancelling headphones for professionals? Noise cancelling in headphones is the elimination of ambient sound with the use of electronics. It’s different from noise isolation that does it passively. It’s a method of the exclusion of unwanted background noise by the addition of a second sound precisely calculated to cancel the first one by advanced electronic circuitry. A microphone in headphones picks up the noise, the circuitry calculates the inverse sound and sends it to the speakers. Once both sounds reach the ear, they cancel each other out. Initially, noise cancellation technology used to be quite expensive and only popular with pilots of aircraft. Here’s a story of its making. Today the tech got much cheaper, and it’s available at many different price tags—though still slightly more expensive than regular headphones. You can get decent wireless noise-canceling headphones under $100 and for those really low on the budget can get them as cheap as $50. Nonetheless, the best noise cancelling headphones will still cost you over $300. Which is quite a hefty amount for a pair of headphones. In spite of that, people love them, and there’s a lot of demand for quality active noise cancellation in headphones. Noise canceling headphones are a popular commuting accessory. 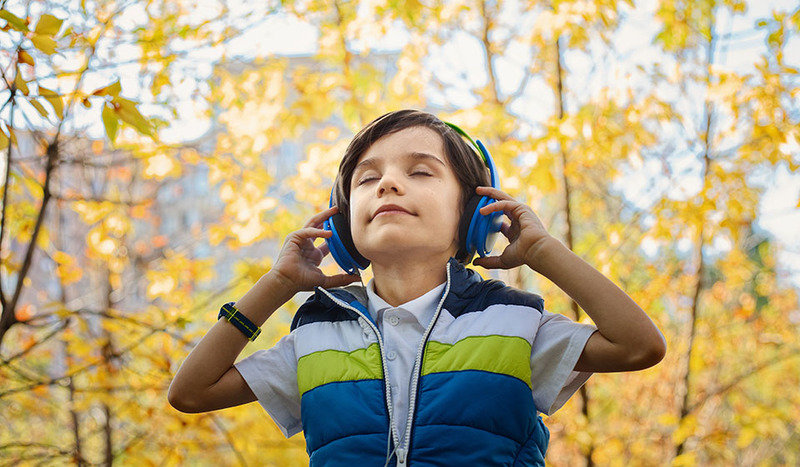 Convenience – whether you’re commuting to work or traveling to your favorite holiday destination, noise cancelling keeps your travels free of background noise. It saves you from headache and unpleasant trips. Status – people compete with everything, do you have the latest smartphone, do you have the most luxurious car, what about the best noise cancelling headphones? Everything is a competition for some, especially business people who like to compare themselves. And, when everybody is sporting Bose or Sony $300+ headphones with top active noise cancellation, you can’t show yourself with “meager” under $200 headphones. Peace of mind – often you just want to be left alone and not be interrupted by the outside world. ANC headphones are the best thing for the job. Turn on the technology and enjoy tranquility and peacefulness no other headphones can give you. Protect your hearing – you probably already know high volume permanently damages your hearing. 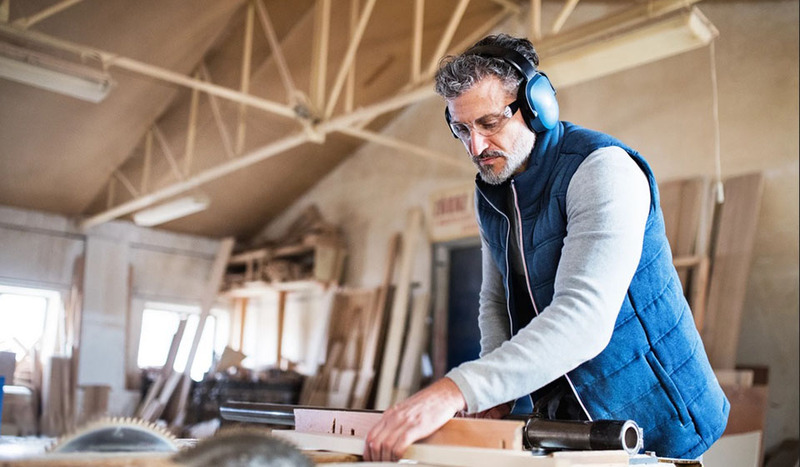 Listening to a sound of 100 dBA (decibels) for 2 hours can cause damage according to OSHA (Occupational Safety and Health Administration). Active noise cancelling headphones protect your hearing by eliminating ambient sound so you can listen to music at lower volumes. They have a long-term impact on better hearing. Passive noise cancellation is actually not a thing. The correct term is passive noise isolation. There’s a difference, read more about it here. Passive noise reduction doesn’t require any energy or electronic circuitry. It works with the help of physics. Any sound is a pressure wave that travels through the air. And that air can get blocked physically. If no air is let through to your ears (it’s blocked), all sounds become toned down, and you’ll hear them less. This is how all hearing protection gear works, by isolating the eardrums from outside sound vibrations. It’s the same with headphones. Work protective gear uses passive noise isolation to avoid hearing damage. Headphones that isolate the ears from outside noise have to create a sound barrier. But how do they do it? Closed-Back design with tight-fitting earpads, so the least amount of air is let through. Open-back is open to the outside world, therefore lets air travel in both directions freely. It’s horrible for passive noise isolation. Fitting thick earpads that touch the skin around the ears and make an air seal. Not all ear pads are made equal. Pleather pads are usually better than cloth pads at blocking the noise. Also, memory foam earpads offer superior comfort and fit compared to other foams. Sound absorbing materials are superior at noise reduction, but they usually add weight. The right type of headphones. 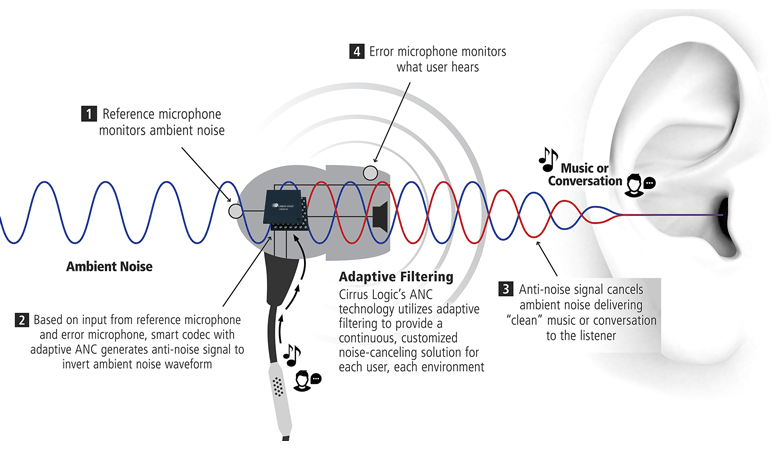 In-ear headphones or earbuds are the best at isolating, over-ears and classic earphones are about average, while the on-ear headphones are the least effective at passive isolation (some exceptions exist). The best at passive noise isolation are in-ear headphones, especially if you combine them with memory foam eartips that give an airtight fit. You might have caught the term hybrid noise cancellation which is a slightly improved technology of the same type. Usually, in normal noise-cancellation headphones the microphone that picks up sound is positioned internally close to the drivers and ears, so it can pick up the same noise you hear, and then cancel it. The hybrid noise cancelling headphones have a secondary microphone that’s positioned away from and on the outside of the headphones, so it picks up unwanted noise before you hear it. The combination of both microphone signals results in improved active noise cancelation. Hybrid noise cancelling is usually used in premium, flagship models, while you won’t find it in cheaper headphones. Though, ANC technology is becoming cheaper by the day, you can expect affordable hybrid noise-cancellation headphones in the near future. Some even consider it a must-have technology for a modern life. The first reason is that active noise cancellation impacts sound quality. This is especially true for cheaper headphone models. Very often when ANC is turned on, there is a noticeable hiss sound present. Also, it impacts the bass response by making it weaker and in some cases almost eradicated. But it’s only a problem with the cheapest headphones. Nonetheless, for an average listener, they sound good enough, and premium ANC headphones can sound great, just don’t expect audiophile quality. On the other hand, passive noise reduction doesn’t have a tremendous impact on audio quality like noise cancellation technology. In fact, it often improves the bass response and clarity of highs (especially for in-ear headphones). Passive noise isolation doesn’t require any power at all. If you hate charging and keeping an eye on the battery life, this is more convenient. Put them on, get the right fit and you can enjoy listening to music in peace and quiet. Noise isolating headphones are much cheaper. Since there’s no unique technology required for it, the prices for these headphones can go very low. Even for under $50 you can get a decent pair of headphones. Money constraints are a big factor when making a buying decision for a lot of people. Noise cancellation headphones cost more money while not necessarily offering better sound quality. Plus, a lot of people replace their old headphones on the regular (especially true for earbuds), so spending a lot of money on each pair doesn’t make much sense. In the long run, getting passive noise isolation headphones makes more sense for the price conscious.In fact, many people use isolating earmuffs to reduce noise. Every sound has a specific vibration that can be inverted, and if the two sounds inversely different (phase and anti-phase) come together, they result in silence. Noise canceling works by putting together two inversely different sound waves, so in effect, they “eliminate” each other. That’s the basic explanation of how ANC technology works. Every pair of ANC headphones comes with at least one microphone (more for hybrid noise cancelling) that picks up ambient noise. It sends the signal to the electronics that creates an inverse wave of the noise. After that, the inverse sound is played on the headphone speakers, so when both the noise and inverse noise reach your eardrums, you don’t hear anything because they cancel each other out. It doesn’t cancel all the noise of course, but only what it can predict as unwanted noise. Usually, that is lower sounds with constant amplitude and wavelength like the noise of engines, the humming of distant traffic, and the like. Also, it shouldn’t impact your sound quality—though that’s not true—since it’s listening to outside noise and not your music. ANC doesn’t cancel out sudden, high-pitched sounds like people talking, birds chirping, whistling, and so on. Unpredictable sounds are hard to eliminate even with the latest technology. Active noise canceling isn’t dangerous in any way. You cannot abuse it to do harm because it’s meant to eliminate noise and not create it. It’s a proven technology that’s safe and simple to use, even for kids. In fact, it protects from harm as it helps you keep the headphones volume down from unhealthy levels. On the same hand, listening to music at moderate volumes is important for protecting your hearing. You can read more about volume and hearing damage here. 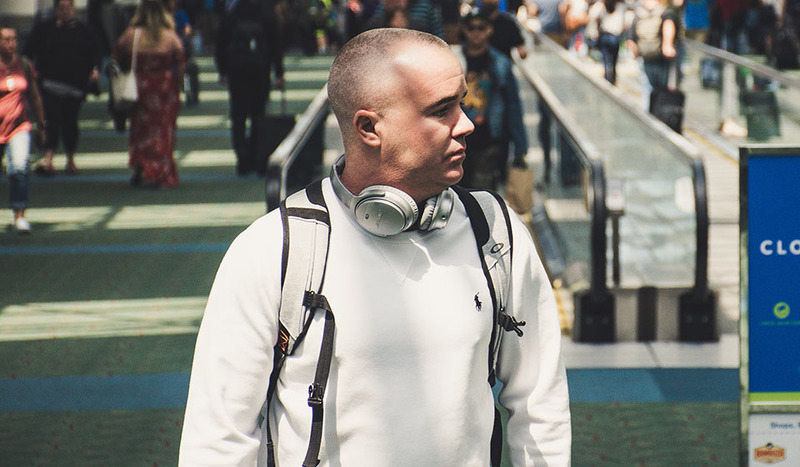 Keeping the noise levels down when flying around the world, be it a short 1-hour connecting flight or a long intercontinental jump to another continent. Commuting with public transport is often loud, and the noise reduction is very welcome. Walking on city streets with ANC keeps the noise down so you can focus on your music better. You can even use them in a gym, which is often loud, to keep your head clear and concentrated on the workout. 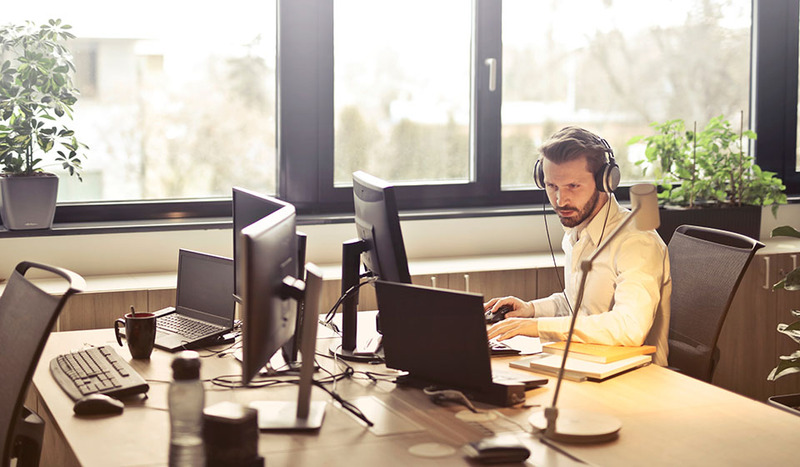 Office work often requires great focus and keeping the unwanted commotion out of your head can improve your productivity. Not exactly headphone use but the latest cars have incorporated noise cancelling speaker systems that make the car engine quieter, so you can enjoy your music in peace and even put in the sounds of a bigger engine if you want. Imagine driving an old, average car but hearing the engine roar of a Ferrari. Noise isolating and cancelling headphones are a popular office gadget. When buying new headphones decide on how much money you want to spend, what kind of headphones you want, and when you need them. Waiting a bit for a special offer or seasonal sales can save you a substantial amount of money. Now as for pricing, you can get noise cancelling headphones under $50, these are the budget options. For a little better take a look at NC headphones under $100. For the best of the best, you’ll have to fork over $300. At the moment you won’t find any classic earphones with noise canceling technology. Right now there is a battle for the best noise cancelling headphones fought between Bose QuietComfort 35 II, Sony WH-1000XM3, and Sennheiser PXC 550. If you want the best noise cancellation go with Bose, but if you want excellent sound quality too, get Sony’s or Sennheiser. Either way, you won’t go wrong with any of the 3 wireless, big ear cup models above. Bose QuietComfort 20 are the best choice at the moment. You can read more about noise canceling earbuds here. You can choose from wired and wireless Bluetooth buds but keep in mind the battery life is shorter, and they are less comfortable than over-ear headphones. That’s vital if you’re planning to take them on a long plane trip (airplane engine can produce over 80 dBA of noise in the cabin). But they’re much easier to carry around due to a smaller size and perfect portability. Check the guide to ANC ear buds to make the best decision. Sorry to break it to you, but studio headphones don’t use active noise cancelation. Professional headphones need the most natural and precise sound you can get, ANC doesn’t help with that. Studio-grade headphones are usually wired too and don’t have the latest features and technology. The main focus is on sound quality. If you’re still interested, take a look at Sony MDR-7506 (review), Status Audio CB-1 (review), Beyerdynamic DT 770 Pro, Audio-Technica ATH-M50X wired. These are all great studio headphones but don’t have active noise cancelling.